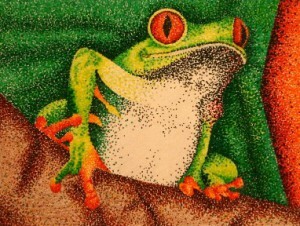 The above example shows “pointillism”. For student examples, my examples, and PowerPoints for the class, please go to your Hayfield Moodle. There is a link for every project for the semester for you to view.